Code Fred is a free online game developed by the Museum of Science and Industry, Chicago. 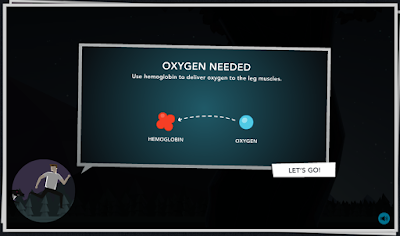 The game helps players learn about the human body's responses to trauma. The object of the game is to help "Fred" escape from the woods while he is chased by a wolf. To keep Fred running players have to pump blood, increase the flow of oxygen, and send adrenaline through Fred's body. If a player doesn't respond to the needs of Fred's body fast enough, he will get caught by the wolf that is chasing him. Playing Code Fred could be a fun way for students to review a lesson they have learned about circulation and respiration. The game doesn't last long if it's played correctly, perhaps fifteen minutes at the longest, so don't plan on using the game for a full lesson.